Santiago Valdez was the principal author of the Biography of Padre Martinez of Taos, originally written in Spanish in 1877, ten years after the death of the Padre. The Read brothers—Benjamin Maurice and Larkin Gregory—collaborated with Valdez in writing the biography. Younger brother Larkin Gregory copied the manuscript in calligraphy while Benjamin Maurice Read made his contribution by annotating and amplifying it, as well as by furnishing an English translation by 1881. The original manuscript is part of the William G. Ritch Collection at the Huntington Library in San Marino, California, and until now has never been published. three Read boys—-Alejandro, Benjamin M., and Larkin G. They all went to St. Michael College in Santa Fe, and all became well known as politicians, teachers, or historians. Benjamin F. Read Sr. died before 1857, and then Doña Ignacia married Mateo Ortiz, a lawyer. From her second marriage with Sr. Ortiz, another three sons and one daughter were born. Doña María deserves credit for the education of all the children because of her great sacrifices, but Archbishop Juan Bautista Lamy of Santa Fe also deserves credit for extending generous help for the education of the children. Young Benjamin Maurice entered public life as a schoolteacher at the Christian Brothers Santa Fe College in 1876, the Centennial Year of the nation and just before Santiago Valdez was finishing the biography of the Padre. Benjamin M. became an Attorney at Law as well as a politician, then was selected Speaker of the House of Representatives of New Mexico. Within eight years, in 1884, Benjamin M. Read–together with his brother Larkin Gregory and their mutual friend and colleague Santiago Valdez—compiled and translated into English The Laws of New Mexico. This may be seen as one of the fruits of the Law School Padre Martinez founded at his Taos home in the fall of 1846 after the occupation of New Mexico by the United States. “The one who will ride the burro from now on will no longer be the clergyman, but the attorney,” Padre Martínez said as he informed his seminary students that he was changing the seminary into a law school. Just a couple of years previously, Governor Armijo had officially certified Padre Martínez as a civil lawyer. For many years previously, he had–among peers– already been recognized as a competent canon (church) lawyer. Benjamin M. Read was also a competent lawyer and good politician, but his true passion seems to have been recording the history of New Mexico from the perspective of a bicultural native. With a plethora of documents available to him through his brother Larkin’s marriage into the Padre Martinez family, Benjamin in 1910 authored An Historico-Synoptical Sketch of the Mexico-American War published in Spanish as Guerra Mexico-Americana. His major work was the Illustrated History of New Mexico, a work of 812 pages published in 1912 when NM officially became a state of the Union. Both of these works were originally made available in limited editions: first Spanish and then English. Thus it was that he came through personal observation, and after many and very careful examinations of the several writings on history to notice that remarkable differences and striking contradictions exist among some of the English speaking authors, in their respective narratives of historical events….The author of this work attributes the discrepancies and contradictions of the authors mentioned rather to the fact that they had, perforce, to depend absolutely on the translations which are supposed to have been made from the original works and original documents by translators who, by reason of their never having seen the said originals and also because of their not being Spanish scholars, have not, in almost every instance, rendered into correct English the spirit of the original texts, changing quite often, the substance of the language of the first authors; whence the result has been that no two works of the same history, translated from the Spanish into English, by different translators can be found to agree with one another and much less with the original works. –Illustrated History, Preface, p. 5. Benjamin M. Read had a definite perspective on the philosophy of history that was born of frustration at the cultural insensitivity of mainline historians in his day and the past. 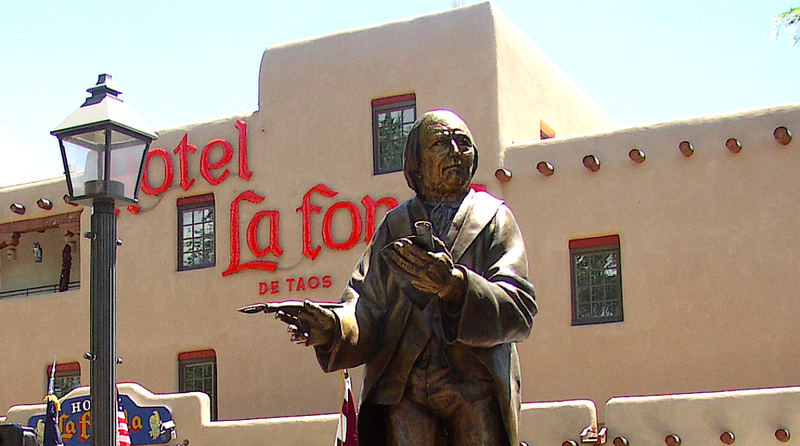 This impelled him to become a first-rate pioneer, native New Mexican historian who deserves to be much better known! He may certainly be aptly considered a mentor for today’s Chicano/Latino historians of North America. Although a competent lawyer and good politician,Benjamin M. Read’s true passion seems to have been recording the history of New Mexico from the perspective of a bicultural native. He deserves to be much better known as a first rate New Mexican historian.